Offered products are available in market in different sizes, shapes and designs. 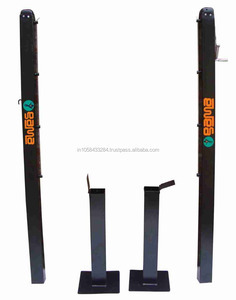 These products are designed by trained professionals using best quality material. Complete with superior quality, easy action polished brass worm winder ratchet & Brass Detachable handle. Offered products are available in market in different sizes, shapes and designs. These products are designed by trained professionals using best quality material. 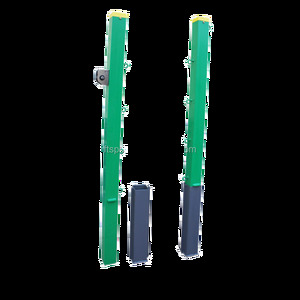 Steel Posts are Zinc phosphated and then finished with a baked-on P.U. 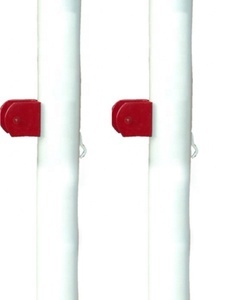 International Standard Aluminum Square Shape Straight Inserted Tennis Uprights Post Material:All Aluminum(include base part),can be completely recycled reusable Precision worm gear transmission structure Anti-rebound automatic locking device Welding V-shape pole inside. :15kg Packing:Carton box Size:80*80mm Aluminum pipe thickness:3 mm Total Length:1070mm (International Standard) The base size:220*220*400mm Any question please feel free to contact me. 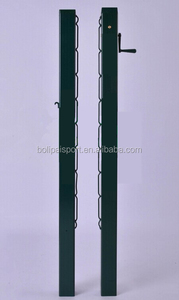 Company:Jiangmen Bolipai Glass Products Co., Ltd. skype:Yu. 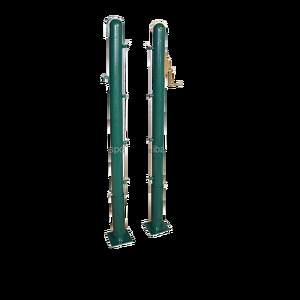 Aluminum Straight Inserted Tennis Uprights Post(Round) Material:All Aluminum(include base part),can be completely recycled reusable Precision worm gear transmission structure Anti-rebound automatic locking device Welding V-shape pole inside. :15kg Packing:Carton box Size:80*80mm Aluminum pipe thickness:3 mm Total Length:1070mm (International Standard) The base size:220*220*400mm Any question please feel free to contact me. Company:Jiangmen Bolipai Glass Products Co., Ltd. skype:Yu. Xiamen Powerti Sports Goods Co., Ltd.
Shishi Fangcan Trading Co., Ltd.
Binzhou Danlin Sports Goods Co., Ltd.
established in 2016, have 15 years produce experience, is a professional manufacture r of nets and rope. What &rsquo; s more , we also undertake to manufacture knotless net and offer OEM service. &middot; You can contact us via trader manager, we will reply you immediately as long as we are on line. Please inform us formally before our production and confirm the design firstly based on our sample. Q6: Do you offer guarantee for the products9 A: Yes, we offer 2-5 years warranty to our products. Secondly, during the guarantee period, we will send new lights with new order for small quantity.